Was going to make a blog post on my everyday make up routine today, supposed too, but the camera literally died on me and to top that off, the camera didn't even focus and the whole thing was a total waste of time. I managed to get some still photos from the failed video and make an effort of making it sharp at any possible way. 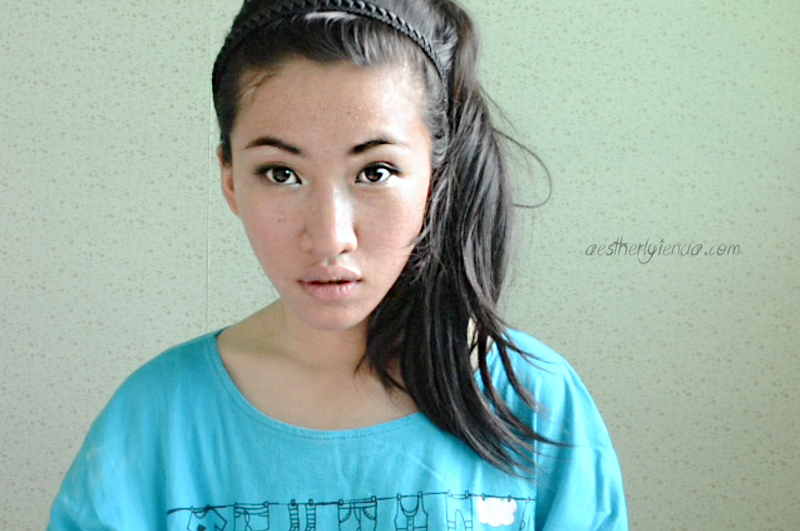 This, in the end turned into another failed attempt but no worries, here's my everyday make up look. That, and this... with the hat I bought from Thailand. 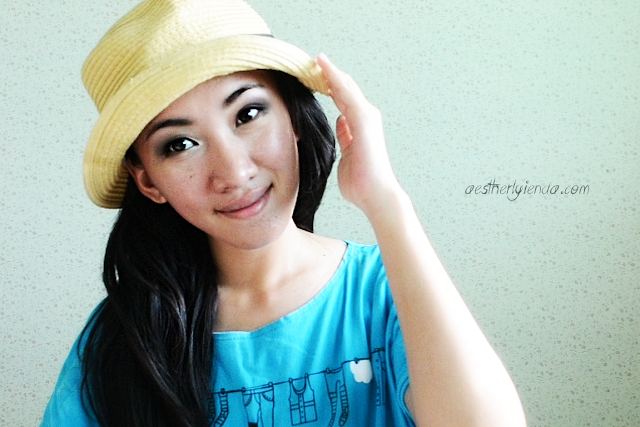 Threw on the hat because the sunlight was too strong and I was afraid the colors weren't going to show. I wear blush now guys but you can clearly see that I'm not wearing any in the photos. Gone are the days when I used to think blush are a no-no for someone who'd turn into a strawberry by noon. I wear chap stick daily but I won't turn down on red lipstick at any given occasion. Been sporting braided hair at the office too but that's going to be another story. Will make it happen this weekend. If not, I'd skip to another blog post.